Bosch has been present in Malaysia since 1923, represented by Robert Bosch Sdn Bhd, with offices located in Selangor and Penang. In Malaysia, Bosch has diversified businesses in Mobility Solutions, Industrial Technology, Consumer Goods, and Energy and Building Technology. The company has three manufacturing plants in Penang providing Car Multimedia, Power Tools and Automotive Steering systems. In 2017, Malaysia contributed sales of RM 615 million (127 million euro) and employed more than 2,800 associates. 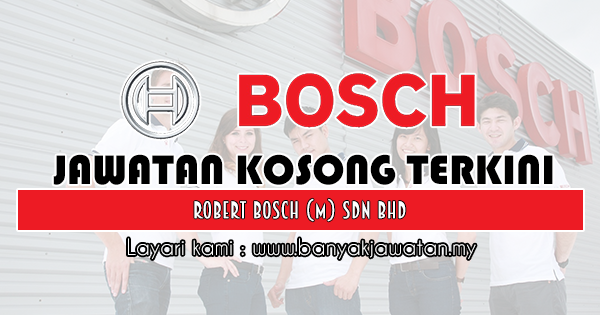 0 Response to "Jawatan Kosong di Robert Bosch (M) Sdn Bhd - 18 April 2019"